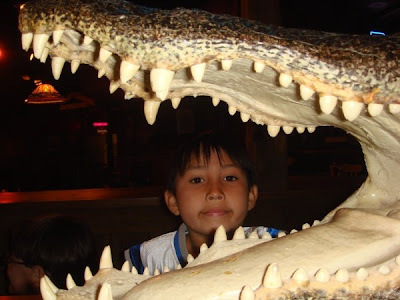 This is my head in the alligator's mouth, but the alligator was fake. 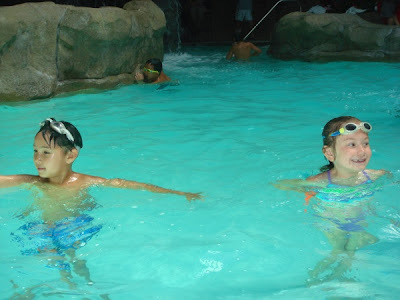 I was swimming with my cousin, Jenna. The pool was inside the hotel in Marksville, Louisiana, U.S.A. 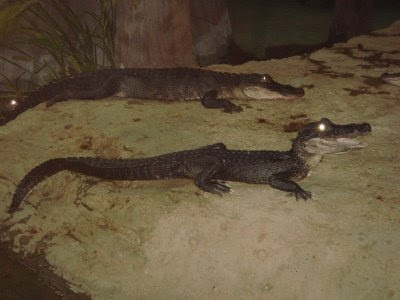 This is a real alligator. Its eye glows in the light.